The acts of terrorism in Paris could not come at a worse time for not only France, but the economy of Europe at large. The GDP (Gross Domestic Product) of the European Union (EU) only grew 0.3% in the 3rd quarter, well below what many analysts had expected. Historical low rates of interest and a huge injection of liquidity through quantitative easing, have largely failed to return the continent to growth. The scenes of carnage on the streets of the French capital will have repercussions across Europe. Although the markets in Asia were down by 1% at the beginning of the week, they quickly stabilized in Europe on Monday and turned into a rally in the United States. However, this will mostly be short lived. Investors can discount the immediate impact of terrorism, but they will be unable to disregard the financial costs of fearful consumers and heightened security everywhere. 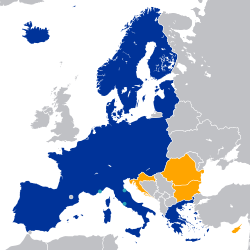 In Europe itself, the ending of the Schengen agreement will be costly to the uninhibited transport of goods and services. 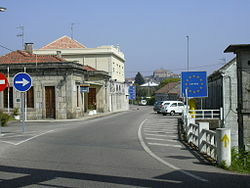 The open international borders throughout most of the continent, has allowed an efficient transfer of products and has permitted citizens to travel freely throughout the European Union. It was one of the greatest achievements towards European unity since it was implemented in 1995. The Schengen policy of open borders already under serious strain from the refugee crisis, will now effectively end, with the fear of terrorists spreading across Europe. France has already called for a reinstatement of emergency border controls as a way to track criminals that are responsible for the violence in Paris, as well as individuals planning future attacks. The French are now joining the list of countries that have already reintroduced border controls. This includes the nations of Austria, Germany, Hungary and Sweden. The checks on people and the goods they carry, is likely to spread rapidly throughout the Union under the present circumstances. After all the terror cell that directed the attack in Paris, was actually based in Belgium. France is also demanding the immediate adoption of the controversial PNR (Passenger Name Records) system. This will totally track the movement of passengers for all planes, trains, and ships throughout most of the continent regardless where the departure was initiated. The French are also pushing for the expansion of the SIS (Schengen Information System) which essentially will permit cross referencing, at all border identity checks in the European Union. The system is backed by a vast database that lists criminal records, stolen passports and vehicles, and an assortment of other important information. These new border security measures will hamper the flow of both consumer and industrial goods everywhere they are initiated. It will also slow down manufacturing, as many factories are now dependent on components that are found outside of national borders. New arrangements will need to be created, to overcome these difficulties which will cost time and money. It will create new dislocations and disruptions, to a number of economic sectors in many countries. 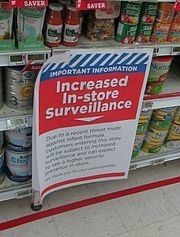 Of course, all these new security measures will not come cheap. France is already talking about hiring 5,000 additional police officers over the next two years. Hiring extra personnel to manage the border checks and the support staff to make them more effective, will be costly. It comes at a time when many countries within the European Union, are already dealing with budget shortfalls and issues of rising debt. France itself was only now, experiencing signs of a pickup in economic activity. In what can be identified as a security based recession, France will definitely feel the repercussions of recent events. The country hosts more tourists than any other on an annual basis. This sector alone, accounts for 7.5% of the national GDP. One can imagine that many travelers might consider another destination, given the present circumstances. International stocks related to tourism are already reeling. Airlines, sites that books passengers, cruise line operators, hotels, restaurants, and businesses that cater to visitors are all experiencing the after effects of the events in France. This could rapidly spread to business and commercial travel as well. 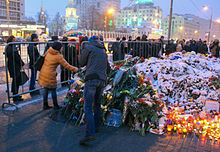 Since the terrorists targeted individuals in public places, some potential consumers will be less inclined to attend events and to gather in large groups. Customers will be less plentiful this year for many businesses, who rely on the holiday season for much of their yearly revenue. Fearful clients are ones that are less likely to linger and make purchases regardless of the time of year. The acrimony that was already being created over the issue of refugees in Europe is rapidly spreading among the populace, as security fears are heightened. As expected, this is having political consequences that cannot be totally ignored by the political elite. 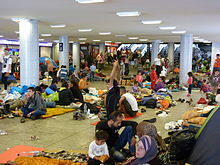 Various groups who have opposed welcoming the new arrivals, are quickly gaining a new strength among a fearful public. Previously groups outside the political mainstream are now given new credence. The far right National Front in France, is demanding that major changes need to be instituted in the country because of the issue of public safety. This would include regaining permanent control of national borders and the expulsion of certain foreign nationals within the country. The Party identifies some 11,000 individuals under surveillance, of which 60% of them are assumed to have links with radical organizations. The Alternative for Germany (AfD) is a political party that has been gaining new momentum because of the crisis unfolding in relation to the refugees and now fear of terrorism. The focus of the group beginning with the handling of the debt crisis, is finding new ground in opposing Chancellor Angela Merkel in her present position on asylum. Afd is starting to really thrive in parts of eastern Germany. Such movements exist in many countries throughout the European Union and are already being represented on local, state and national levels. They will now prosper, in the new reality of an increasingly anxious citizenry. As horrific as the onslaught in France was, the most important question among investors is will there be more terrorist incidences in the near future? Additional attacks in Europe, will eventually force a flight to safety. That is finding new opportunities outside of Europe and making investments in precious metals like gold and silver, that add little to the economic growth of a country. This will benefit states further away from the epicenter of the chaos now emanating from the Middle East. It will include the United States and Canada, only as long as terrorism does not occur there. There are also a number of nations in Latin America, that could well become a haven for investors looking for new opportunities far from the present disarray in Europe.